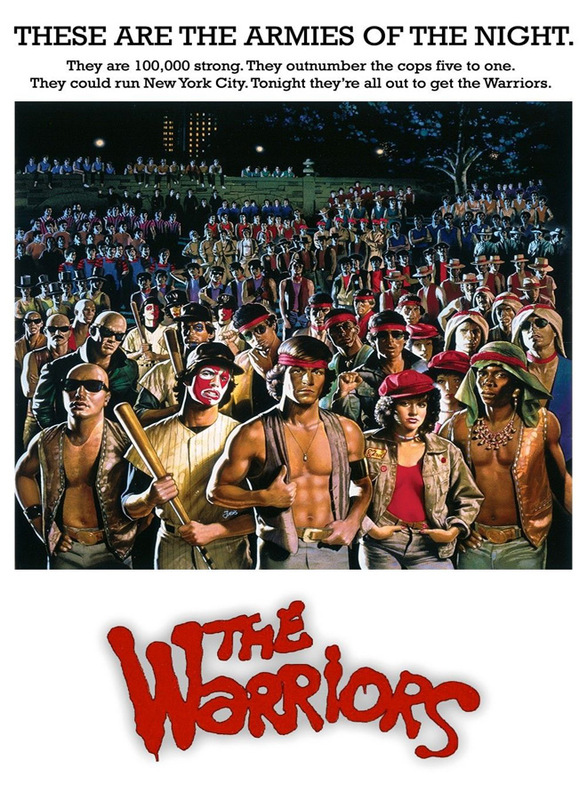 Forty years ago, back on February 9th in 1979, one of the most iconic cult films of all time and quintessential Urban Fantasy The Warriors was released in theaters nationwide. 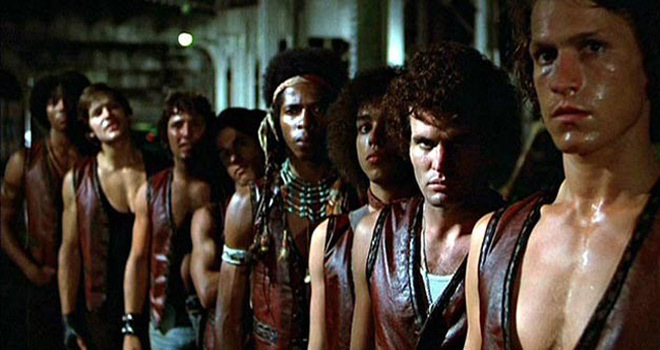 Adapted from the novel of the same name by Sol Yurick, The Warriors was immediately embraced by its target audience of male youth and panned by most critics for its stylized violence. Despite a few isolated violent incidents around theaters upon release, it went on to be the No. 1 movie nationwide and became a staple of American pop culture for generations. 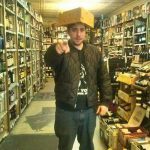 For those few who don’t know, the Walter Hill (48 Hrs. 1982, Streets of Fire 1986) directed The Warriors takes place “sometime in the future,” one which looks exactly like 1970s New York City. Various street gangs, each with their own unique name, look, and outfits from all over the city are called to a meeting by Cyrus (Roger Hill: Once Upon a Classic series, American Playhouse series), leader of the powerful Gramercy Riffs gang. He proposes that all gangs come to a citywide truce and unite against the police since they outnumber the NYPD 3 to 1. 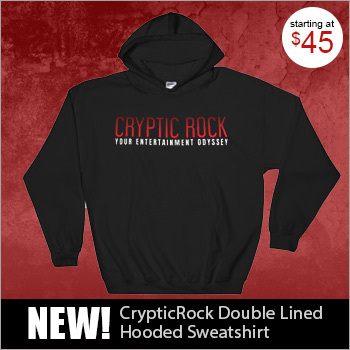 The idea is popular, but before it can come to fruition, Cyrus is shot dead by an unseen assailant in the crowd who quickly blames The Warriors. 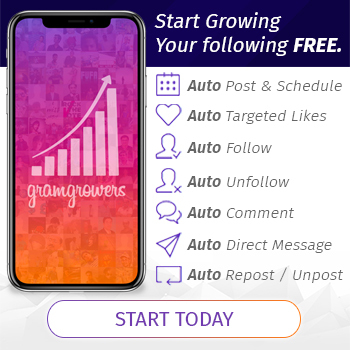 Subsequently, The Warriors must get from Van Cortlandt Park in The Bronx to their home turf of Coney Island in Brooklyn (a long way for those unfamiliar) while every gang in the city is out hunting for them. The Warriors seeks the difficult balance of fantasy within realism against the backdrop of possibly the grittiest depiction of New York City. The long night the titular gang experiences, from street corners to subway stations to city parks, is teeming with danger and almost completely devoid of anything resembling civil society. Garbage, graffiti, and dilapidated buildings dominate the landscape. You can count the number of civilians seen throughout on your hands, and they couldn’t feel more vulnerable as the gang members run amok everywhere. The only other people seen are the police, who are clearly fighting a losing battle against the numerous gangs but are still their primary threat besides each other. Of course, this is not exactly a realistic depiction, and critics at the time felt the filmmakers eschewed some kind of social responsibility by glorifying gang life as a victimless lifestyle. They also panned the film’s dialogue and lack of character depth. However, these criticisms are hopelessly stuck in the past and never resonated with audiences. The idea that filmmakers or any artists are beholden to a critic’s sense of responsibility is ludicrous, and this story is not interested in exploring those avenues anyway. What it was at the time was, ironically, a more realistic take on gangs compared to the likes of 1961’s West Side Story, a simplistic narrative with a narrow focus told in the vein of a comic book or pulp novel. While it can certainly be said that The Warriors is just as romanticized a take on gangs as West Side Story, the former is up front about the violence in that world. It is wrapped in a sensationalist tone but stops short of glorification because there are serious consequences to those choices. Characters are beaten, arrested, and even killed in the chaos, and this fictional reality of New York is anything but inviting. 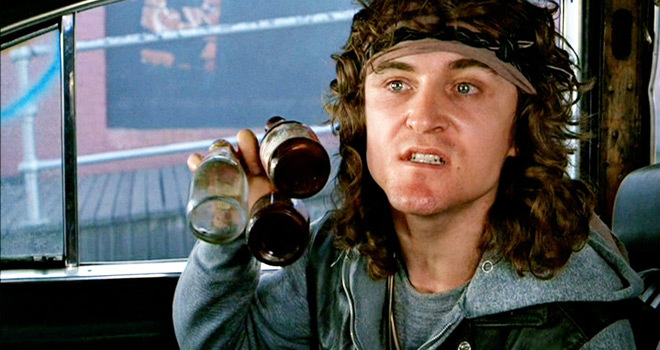 Instead, audiences enjoy it vicariously just as they do other stories that feature violence and thuggery, and it’s thanks to the excellent characterizations and performances by the mostly inexperienced actors that have allowed The Warriors to stand the test of time. There is no shortage of iconic characters, quotes, and costumes in this classic. To this day one can find references in social media and numerous movies and TV shows. Cyrus’ “Can You Dig It?” is probably the most quoted line in the movie, besides maybe Luther’s famous “Warriors, come out to play-ee-ay! !” By the way, the famous Luther line was actually a stroke of genius adlib from portraying actor David Patrick Kelly (The Crow 1994, Flags of our Fathers 2006). Then of course there were other equally memorable characters including each of The Warriors themselves – Swan (Michael Beck: Xandau 1980, Megaforce 1982), the Warlord of The Warriors who succeeds Cleon (Dorsey Wright: Hair 1979, The Hotel New Hampshire 1984); the muscular Ajax (James Remar: 48 Hrs. 1982, The Cotton Club 1984); their residential artist Rembrandt (Marcelino Sánchez: 48 Hrs. 1982, ChiPs series); the cool Cochise (David Harris: Brubaker 1980, Fatal Beauty 1987); Cowboy (Tom McKitterick); the innocent looking Vermin (Terry Michos: The Great Skycopter Rescue 1980, Simon & Simon 1981); and Snow (Brian Tyler: Vamp Bikers 2013). Then there is the compelling, antagonistic Mercy (Deborah Van Valkenburgh: Too Close for Comfort series, Streets of Fire 1984), a former soldier of the Orphans who sides with Swan, braving the battlefield to Coney Island with The Warriors. 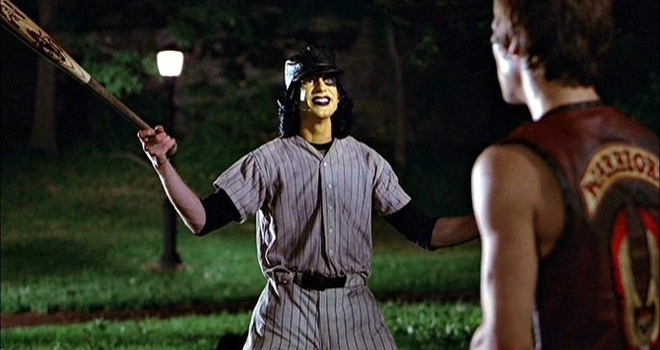 Some of the other highlighted gangs include the Baseball Furies, whose old-school uniforms and face paint can be seen at Halloween parties today, and The Lizzies, the lone all-women gang who use deception to compensate for their physical disadvantages against the men. The Warriors themselves are an eclectic, mixed-race gang with a number of standout individuals, so any viewer will be able to find a favorite. The narrative of a small group of antiheroes fighting their way through a city is also the foundation of classic side-scrolling ‘beat-em up’ video games like Final Fight and Streets of Rage, both of which were heavily influenced by The Warriors. Which brings up another interesting point – the film is almost entirely devoid of guns. There is only one, used as an impetus in the beginning and later in the last scene, both times by the main antagonist. The Warriors and all the other gangs rely mostly on fisticuffs, with the occasional baseball bat or pocket knife to add to the danger. There has never been a time in America where outlaw life didn’t involve firearms, and perhaps this choice is another aspect of the film’s male fantasy of the ideal way to settle disputes – man to man. Luther is a weak, pathetic character, and him being the only character who has a gun reflects that. Forty years on, a low budget project that was originally thought to be “too weird and extreme” to be put to film is one of the most iconic films since. The film and its many pop culture influences have been a rite of passage for adolescents for several generations. Against all expectations, The Warriors not only gained cult film status, but ingrained itself in American pop culture forever. Now, can you dig that?